VideoGameDJ.com is a music and culture blog. The focus is on Chiptune music, video game soundtracks and remixes, live events, and gaming culture. VideoGameDJ.com is edited by VGM and Chiptune performer and producer Dj CUTMAN. If you would like to submit a story, visit this page. Subscribe to the RSS feed to keep up to date with posts, or follow on Twitter and Facebook. Following is a great way to lend your support to this site without it costing a thing. Dj CUTMAN is an open-format DJ specializing in mixing and integrating classic Video Game Music and chiptunes into a contemporary DJ set. Hailing from the world of audio engineering, Dj CUTMAN combines his lifelong love of video games with an in-depth knowledge of sound design to create rich, full-sounding mixes and productions. As a child of the Internet, Dj CUTMAN provides a wealth of music available for download through Soundcloud and Bandcamp. After spending years working as a music producer and mix engineer, Dj CUTMAN has a relentless attention to detail that shows in all of his work. To book Dj CUTMAN for your event or convention, use this contact form. Dj CUTMAN stays active on Twitter, Instagram, Soundcloud and Facebook. A chiptune, or chip music, is music written in sound formats where all the sounds are synthesized in real time by a computer or video game console sound chip, instead of using sample-based synthesis. Basically, Chiptune is a style of electronic music where all sounds are created using old computers or video game consoles. It’s like bringing back the souls from obsolete electronics. More recently, the term has also been used to describe music that sounds like genuine chip music but that is created using more advanced technology, such as software like Propellerhead Reason. The popularization of this form of music has lead to the re-emergence of tracker software for music making, and the adaption of old game consoles with software like LSDJ. 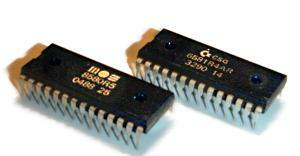 Chips provide a small number of channels to work with, each creating a different sound wave. Chiptune composers developed techniques to overcome limitations of the chips, such as using fast arpeggios to mimic chords. Other Chiptune artists use other software and hardware, such as multi-track mixers to use more than one gameboy, or using effects to create a more elaborate sound. Dj CUTMAN hosts a weekly livestream and podcast for new and noteworthy chiptune music. This Week in Chiptune is available for free streaming from YouTube, and it’s also downloadable as an iTunes Podcast. For more info, check out the website. I LOVE YOU DJ CUTMAN!! !